Foot pain is not normal, however as our feet probably work harder than most other parts of the body, it is not surprising that things sometimes go wrong. Regular appointments with a qualified Podiatrist/Chiropodist can help you to look after your feet properly. Certain foot related problems are uninvited; others develop through illness, poorly aligned bones, or through pressure of ill-fitting shoes. As our feet mirror our general health, any pain or persistent soreness may be warning signs which should not be ignored. Certain ailments such as diabetes, neurological and vascular problems, kidney and heart disease, osteo and rheumatoid arthritis can show early warning signs as symptoms in the feet. Problems in the foot can be the cause of back, hip or knee pain and vice versa. Remember – our feet are a marvel of biological engineering – don’t neglect them! If you have concerns then a visit to the Podiatrist could make all the difference. 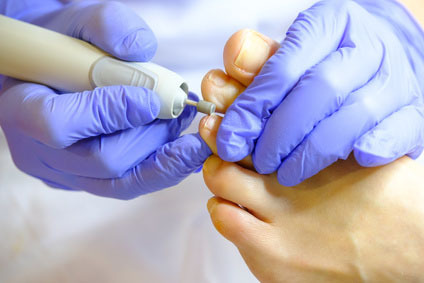 Most aspects of routine foot care and specific foot problems can be dealt with within a 30 minute Podiatry appointment at the clinic. Orthotic insoles can be prescribed and fitted for the individual by the Podiatrist. Karishma Domah and Christie Wallis our Podiatrists hold regular clinics at The Brackley Clinic. Christie is here weekly on Mondays 9am-2pm Karishma is here fortnightly on Thursdays from 9am-3pm and monthly on Saturdays. For an appointment call 01280 703389.